ROME, New York (WABC) -- A feel good story out of upstate New York has gone viral after it's been shared thousands of times on Facebook. 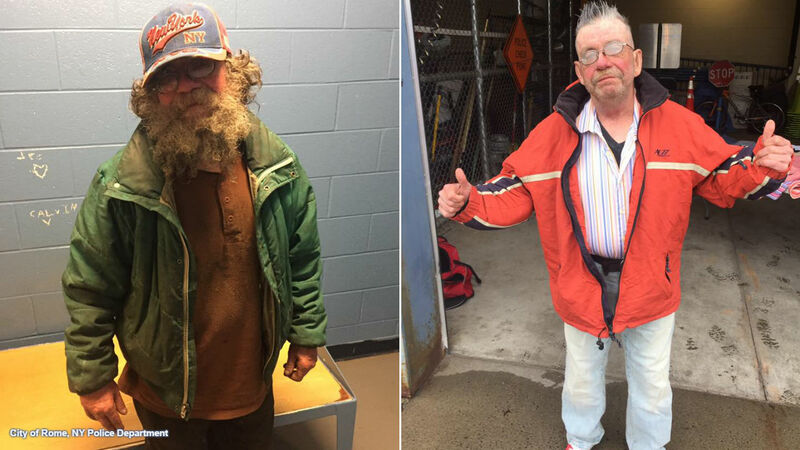 Police in Rome came across a homeless man named Bobby on Tuesday morning who's been down on his luck and began interacting with him. That's when the officers began interacting with him and Bobby shared that he'd love a haircut and a warm shower. One of the officers on the scene, Officer Page, then stepped up to help Bobby out. They were able to provide him with a haircut, a shave, and a new wardrobe of donated clothing. The officers said the man left the department very thankful and looking like a new man.